"I pride myself as the guy who can figure out what happened. When I'm on a platform during an investigation, I'm constantly getting a feel for and thinking ahead to what a jury will need to understand. In effect, I'm a translator." Michael Golemi is an experienced trial and appeals lawyer who focuses on helping Texas and Louisiana energy clients facing disputes involving maritime, casualty, toxic tort, insurance coverage and products liability law. 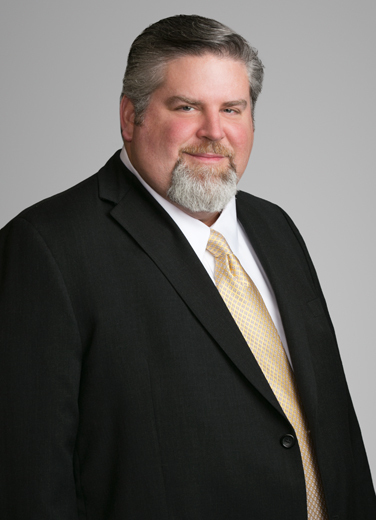 In addition, Michael counsels clients in business, construction and labor and employment matters, representing them in litigation and through alternative dispute resolution. His business litigation experience includes all types and sizes of disputes involving contracts, such as failure to pay claims, defense and indemnity obligations, and insurance coverage, and he has favorably resolved professional employment and non-competition disputes for labor and employment clients. In addition to his litigation practice, Michael helps clients with review and drafting of offshore contracts, focusing on complex indemnity and insurance issues. He also advises clients on day-to-day employment law issues arising in the operation of their businesses. An international oil and gas client had a difficult offshore problem. The mooring system for one of the company's offshore facilities partially collapsed, falling to the bottom of the Gulf of Mexico. Michael was part of the team that answered the client's call to evaluate the damage and help figure out what to do. He investigated, managing a team of experts who reviewed the manufacture, installation and operation of the structure, looking for technical causes for the collapse and preserving any evidence for testing. He also worked with the client's in-house counsel and management, providing notice to other parties involved of planned testing and recertification of equipment. The client successfully resolved the matter with its insurers as well as the contractors involved. A service company recently had an accident in Texas when a unit at its customer’s refinery caught fire. An employee was seriously injured. Michael helped investigate the cause and source of the fire and analyzed issues involving workers’ compensation and third-party claims as well as indemnity issues relating to the premises. After obtaining a favorable jury verdict against a major insurance company for underground blowout coverage, Michael successfully argued for the application of statutory penalty interest under the Texas Insurance Code recovering more than $1.2 million in late-payment interest. The award was appealed by the insurer and upheld by the Fifth Circuit. "I am an avid football fan, particularly LSU football, and I enjoy coaching my kids’ youth football, baseball, and soccer teams. I also volunteer as one of the coaches of our high school’s 7v7 football team. Helping JDRF work toward improving treatments and eventually finding a cure for my daughter’s Type I Diabetes is another passion of mine."